Caring for your furniture and fabric is like caring for your skin; proper treatment protects it from the elements and helps to preserve its texture, color, and appearance. 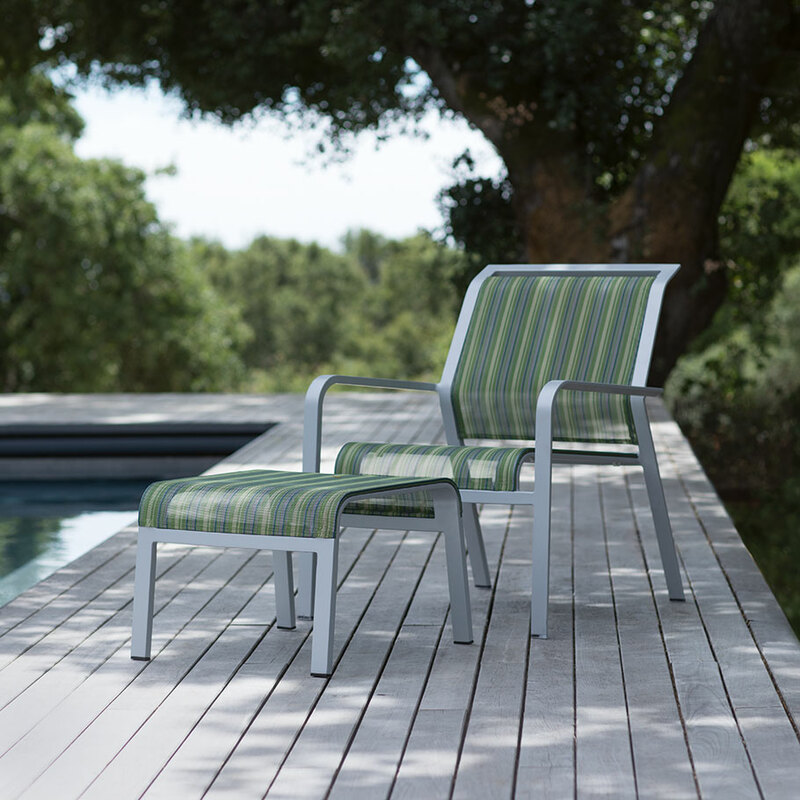 Exposure to sun, salt, moisture, wind, and temperature changes causes your outdoor furniture, fabric, and accessories to require diligent attention and preservation. With proper care, your furniture investment will give you many years of use and enjoyment. Click here to reference our Care & Maintenance Catalog for detailed instructions and recommended cleaning solutions. Here is a quick guide to caring for specific materials. 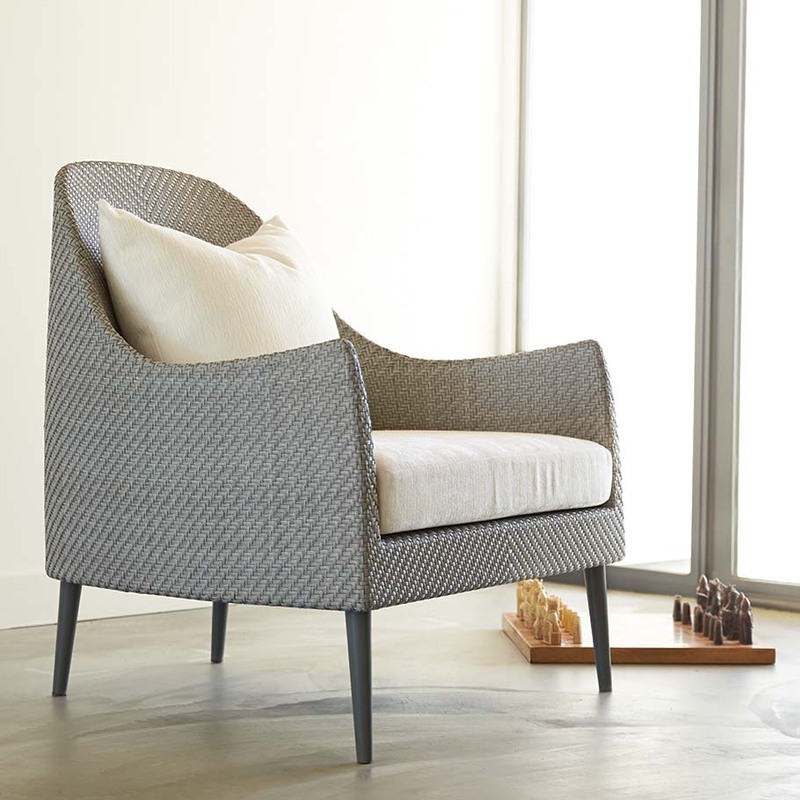 Our hand-woven synthetic and combination fiber furniture requires minimal maintenance. Our fiber lineup includes JANUSfiber™ (made from high-density polyethylene) and Vertex Fiber (made from polyester and hemp). 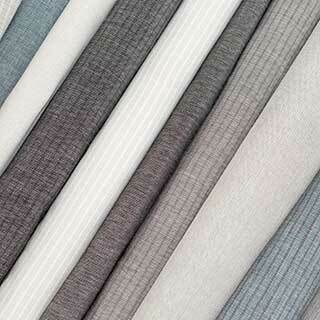 Both fibers are colorfast, UV– and stain-resistant, and 100% recyclable. These fibers are an excellent choice for humid, salty environments, as well as installations with extreme temperature fluctuations. While these durable materials will not mildew, contaminants on their surfaces can accumulate and foster mildew growth, so regular cleaning is recommended. All of our teak, castillo, mahogany and jatoba are plantation-harvested premium woods. As with all naturally grown woods, color and grain varies on each piece of handcrafted furniture. As particularly strong, decay- and water-resistant species, these woods do not expand or contract excessively with changes in moisture or temperature. Left alone, they will age naturally to a beautiful, desirable silvery-grey patina. As you read through our care and maintenance instructions, you will find the steps analogous to skin care. To add luster, purity, and youthful appearance to your teak and premium wood products, the true organic nature of the material must be preserved. Through abrading and exfoliating techniques, the natural tanin and grains of your teak will be enhanced. - Vacuum to remove loose dirt. - Prepare a cleaning solution of: 2 ounces (1/4 cup) dishwashing liquid or Golden Care® Teak Cleaner per gallon 8 cups of lukewarm water (less than 100°F/38°C). - Use a sponge or soft cloth to clean. - Rinse thoroughly with clean water. - Allow to air dry. 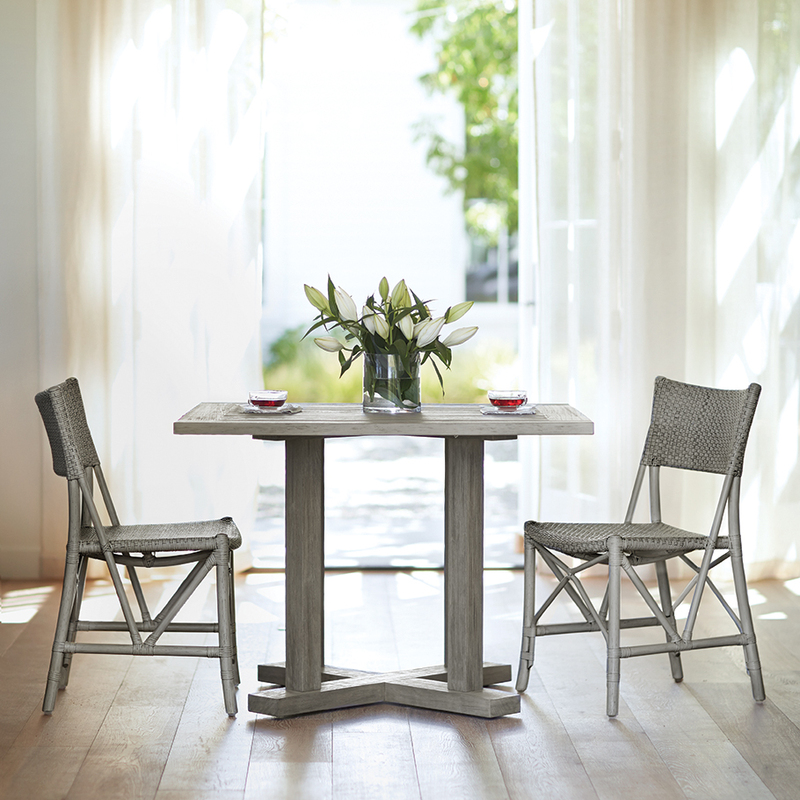 In the absence of regular maintenance, the high quality of our teak turns to a lustrous silvery gray patina when left in its natural state, which is often preferable. 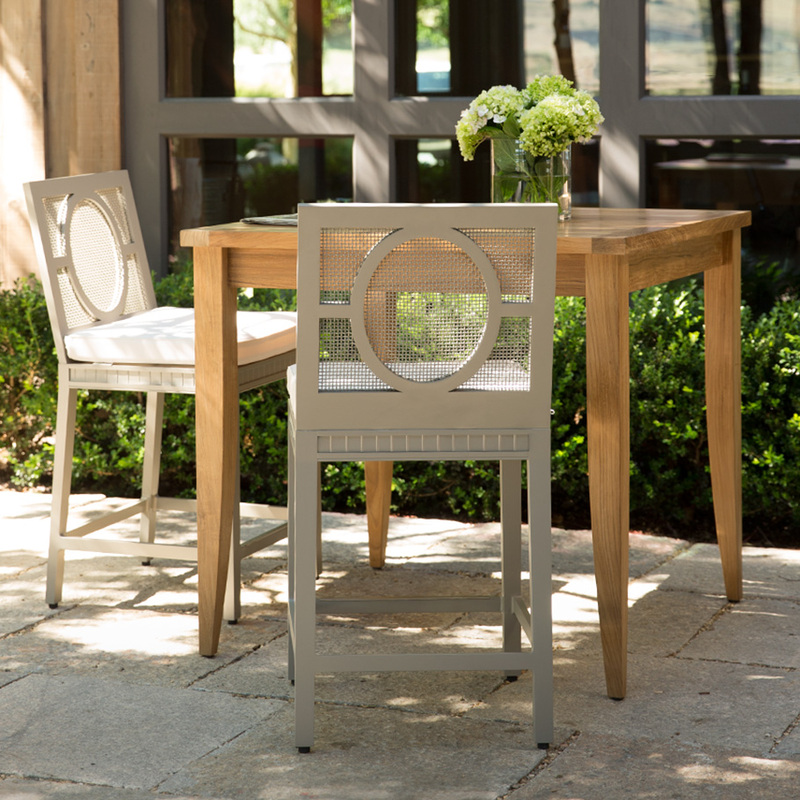 To promote the weathering process, wash the teak regularly, especially during its first few months outside. Do so on a sunny day if possible, and use a mild liquid detergent mixed with a teaspoon of bleach in a gallon of water. The bleach will accelerate the weathering effect of the sun. After the soap/bleach wash, rinse the furniture thoroughly with clean water and let it dry. As the teak begins to weather, the grain begins to lift. 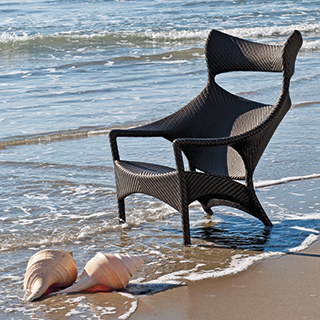 You may want to lightly sand the fine “hairs” which rise when the teak begins to weather. 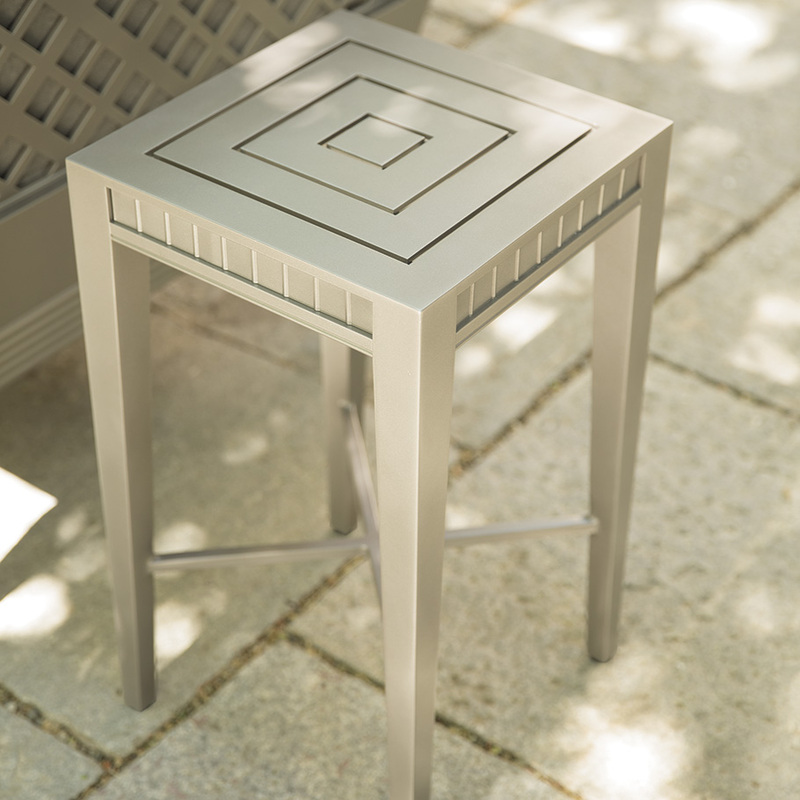 The silvery-gray patina will evolve at a different pace depending on its environment. Wind, salt spray, and sun will always weather teak more quickly. Our mesh slings are virtually maintenance free under normal conditions. For general cleaning, wash with a non-abrasive soap-and-water solution and a soft cloth, then dry with a soft towel. For stains, we recommend using a stain remover, such as All-For-1 Feron cleaner, Oxyclean® , or Simple Green® . Powder coating is a process that creates a durable, protective finish on metal surfaces without using solvents. Polymer granules (polyester, polyester-epoxy, or fusion-bonded epoxy and acrylics) are mixed with pigments and other powder ingredients, then heated in an extruder. The extruded mixture is rolled flat, cooled and broken into small chips that are milled to a fine powder and sprayed onto the surface with an electrostatic gun. The gun imparts an electric charge on the powder, which is then sprayed to the frame, attracting the “paint” particles into every crevice. When the frame is heated, the powder melts and forms a hard, protective coating creating a continuous, seamless application. Like any fine-painted surface, such as an automobile, routine washing with mild soap (pH:neutral) and a non-abrasive cloth or sponge, and clear rinsing will keep your painted furniture looking new. We recommend you provide extra protection with a regular application of a reputable automobile wax, which will actively repel the accumulation of moisture and water spots and minimize stains from mustard and red wine. First, rinse with a hose to remove salt accumulation, then apply wax per manufacturer's instructions. Never use abrasive or aggressive solvent products on aluminum. Acrylic fabrics should be cleaned regularly to keep dirt and food particles from accumulating and becoming embedded in the fabric. This practice will eliminate the need for more frequent, vigorous cleanings. Bring your cushions indoors if you know of inclement weather approaching. Cushions used on natural unseasoned teak and natural woods should be removed after each use until the wood has become seasoned in its new environment. 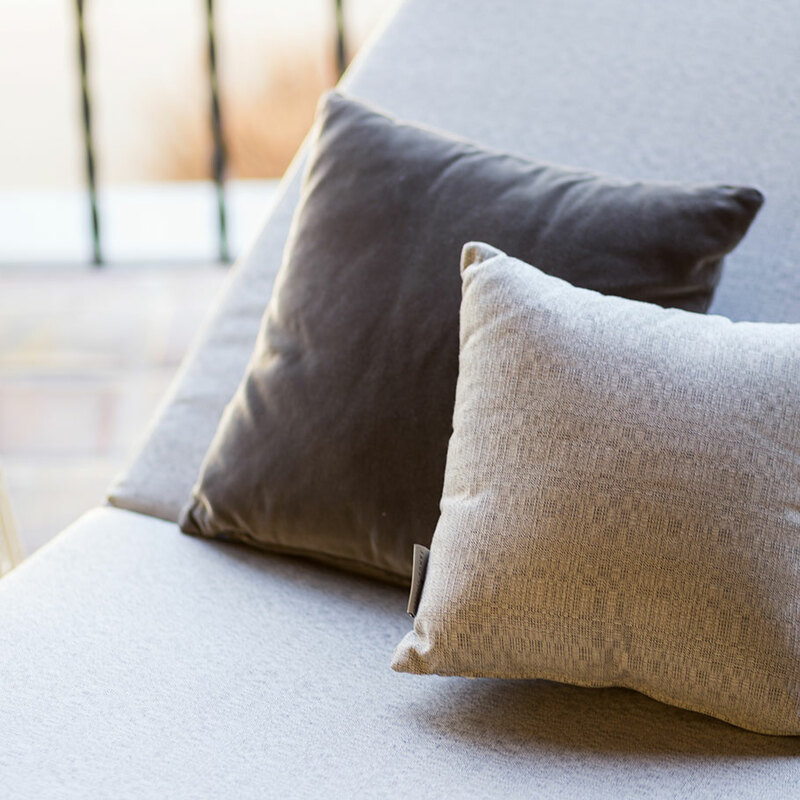 The finest weather-resistant materials have been used to make our cushions; however, they are not impervious to weather extremes or lack of maintenance. If cushions become saturated with water, squeeze excess water out of the cushions, then set them on their side to air dry in a well-ventilated, clean, dry area. Drying times will vary, but may be accelerated if cushions are allowed to stand on edge in direct sunlight. - Vacuum to remove loose dirt. - Prepare a cleaning solution of: - 2 ounces (1/4 cup) dishwashing liquid or Feron’s 1 For All Cleaner per gallon - 8 cups of lukewarm water (less than 100°F/38°C). - Use a sponge to clean. - Allow cleaning solution to soak into fabric. - Rinse thoroughly with clean water. - Allow fabric to air dry. Cushions should never sit in water or be exposed to water for any prolonged period. To prevent mildew growth and corrosion of any sort, always remove wet cushions from furniture frames. Depending on the climate, furniture application, and frequency of care, the cushions you select for your furniture will add function, vitality and seasonal variation to your environment. We offer detailed guidance in the Care & Maintenance catalog regarding the types of cushion fill. Marine and coastal areas can be assaulted by salt spray as well as sand. These elements act as sand blasters onto fine finishes. The sand and dirt can literally “ground” into the finish if not washed off before polishing. Some exposures at sea have more wind or more direct sun than others. These conditions vary greatly, and there is no single timeline for to how often your furniture should be cleaned and restored. Your particular installation needs to be evaluated frequently in order to optimize performance and maintain the desired aesthetic. All outdoor furniture is best protected with fitted furniture covers or by seasonally storing it indoors during harsh weather. In areas with higher air pollution levels, humidity, salt, and/or high daily temperature variances, perform the recommended maintenance routines more frequently. Our handsome and practical furniture covers are a great way to prolong the life of your investment. 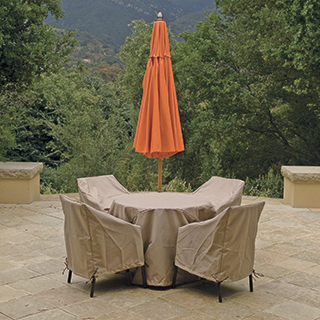 The covers are lightweight, and resistant to mildew, mold, UV-rays, water, tears and abrasions. They are designed to fit loosely over the furniture with a drawstring to secure them in place. Furniture Covers are offered for all of our collections in non-fitted and fitted versions.